Oh man, I LOVED "Dark Shadows." I was too little to see it first-run (1966-1971), but they reran it in the afternoons when I was in early grade school, and my mom and I would watch it together. And apparently Johnny Depp and Tim Burton loved it too--there's been talk FOREVER about "Dark Shadows" coming to the big screen, and now Depp is supposedly on a green tea and fruit diet to trim down to play Barnabas. They're starting filming in April and the movie is scheduled for 2012. I do wish they'd leave our childhood memories alone -- "Dark Shadows" is on DVD, for goodness sake, we can watch it still -- but then again, Burton and Depp are an interesting combo and there's a chance this MIGHT not be horrible. Jonathan Frid says he will be participating "in a modest way" in the new movie. A cameo, I imagine. I do like that. And it looks like you can watch full episodes online. There were at least two "Dark Shadows" games, and I had one of them, which I think we bought at a garage sale. I adored it, and for some reason when we moved, gave it away to my friend Brenda. I wish I still had it today! What about you? Did you watch the original show? Are there any storylines you especially remember? Have you watched it since those days? Will you see the movie? I didn't start watching it until I was in my early 20's and they reran the entire series on the Sci-Fi channel. I love the music. I remember one episode where a fly repeatedly lands on Jonathan Frid's face during a scene--I guess they didn't have much of a budget and couldn't bother to reshoot it. 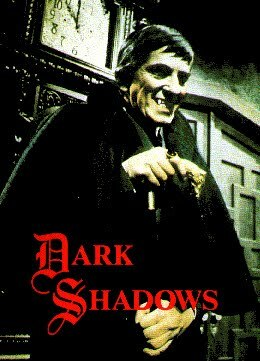 Dark Shadows was taped live as were the rest of the soaps of their day. Video tape was in its infancy and editing equipment was in short supply. With DS if they did have to edit, which was very rare, they would have to use the editing equipment from ABC news and was very expensive. The show was taped and whatever went wrong...wobbly sets, flys on the actors, flubbed lines, etc., just went on the air...never to be seen again...or so they thought. The show was so popular that it gave fledgling ABC daytime a terrific boost and established their dominance in daytime programming. I was a Dark Shadows junkie. LOVED that show. Ran home from school every day to watch with my mom. I'm old enough that I remember the last 2-3 years of the series from its first run. I remember Quentin Collins' werewolf, and the portrait that turned into a werewolf, and a scene where hands emerged from the dirt. I also had the Barnabas Collins game with the skeletons. I watched the series on SciFi a few years ago, from start to finish. Was surprised at how much different John Karlen (Willie Loomis) looked in DS than when he was Tyne Daly's husband on Cagney and Lacey. BTW Gael, have you ever seen the 1973 TV film "Don't be Afraid of the Dark"? It's recently been remade, but release is in limbo because it's a Miramax picture. The original, with Kim Darby and Jim Hutton, scared the crap out of me at age 8, and still remains stuck in my head. Based on user reviews at IMDB, I'm not the only one. You can see the trailer for the new version on YouTube.